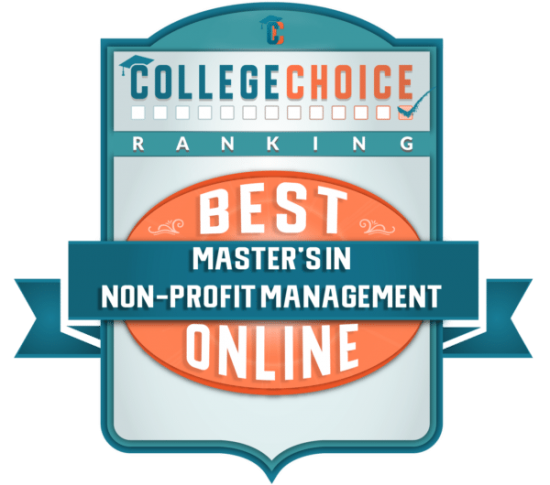 Hope International University has been recognized as having one of the nation’s “Best Online Master’s in Nonprofit Management Degrees” by CollegeChoice.net. HIU’s ranking is based on overall affordability, academic quality, as well as dedication to student services and success. The Nonprofit Management Degree at HIU is one of four different concentrations within the Master of Business Administration (MBA) program. The MBA program prepares students with advanced management skills in leadership, ethics, analysis, communication, critical thinking, problem solving, research and information technology, environmental economics, financial analysis, and strategy. Business and management disciplines are a launching platform for those seeking the skills to make a positive difference in local, regional, national, and global cultures and societies. Graduates of the Hope MBA program will have the knowledge and capability necessary for the successful management of organizations as owner or mid to upper-level and top management. Most programs are offered asynchronously, meaning you don’t have to log in at a certain time to complete your studies. While a degree in nonprofit management is the most direct way to obtain a leadership position in a nonprofit setting, many other majors may also satisfy that requirement. A degree in Nonprofit Management will allow students to work in a variety of fields, such as education, social services, arts and culture, environmental protection, and even healthcare. Graduates might take on roles in fundraising, community outreach, or grant writing. With a degree in Nonprofit Management, grads will be qualified to apply for titles such as Community Engagement Director, Program Director, Conference Services Director, and many others. // For the complete list and methodology, click here. // For details about HIU’s graduate degree programs in Business & Management, click here.